The Best Irish Parenting Blogs from thousands of Irish Parenting blogs on the web using search and social metrics. Subscribe to these websites because they are actively working to educate, inspire, and empower their readers with frequent updates and high-quality information. CONGRATULATIONS to every blogger that has made this Top Irish Parenting Blogs list! This is the most comprehensive list of best Irish Parenting blogs on the internet and I’m honoured to have you as part of this! I personally give you a high-five and want to thank you for your contribution to this world. Irish Parenting newsletter is a comprehensive summary of the day’s most important blog posts and news articles from the best Irish Parenting websites on the web, and delivered to your email inbox each morning. To subscribe, simply provide us with your email address. Ireland About Blog HerFamily.ie is not just another parenting website, they are a digital lifestyle platform for the way parents really live today offering realistic support, practical content and sometimes, just a little light relief. Facebook fans 137,659. Twitter followers 21,740. Ireland About Blog MagicMum offers an online haven where Mums and mums-to-be can pop in for information, advice, support, friendly chat or a laugh. Facebook fans 164,855. Twitter followers 5,130. Dublin About Blog Independent.ie provides up to the minute news content and services to a global audience. Read the latest news for children & find positive parenting ideas and tips to accommodate most parenting styles and the ideal parenting plan. Facebook fans 736,619. Twitter followers 472,595. Facebook fans 2,274. Twitter followers 1,779. Kildare, Ireland About Blog It’s Just a Phase is an Irish parenting blog by Ruth Chambers who blogs about her experiences as a mother of two and shares her tips and advices about parenting. Facebook fans 4,193. Twitter followers 1,346. Cork City About Blog This is a blog by young Irish Mammy who is venturing forward and learning and documenting her ramblings onto this blog. You’re likely to find tales of sleep deprivation, fun days out, the odd review and other such oddities. Facebook fans 2,378. Twitter followers 2,915. Ireland About Blog 2 Nerds & A Baby is a blog by Eileen and Adam who share their experiences as a first time parents. Facebook fans n/a. Twitter followers 1,228. Tallaght, Dublin About Blog My Little Babog is an award winning Irish parenting, lifestyle, and travel blog.Here you will find my parenting fails and honest tales. Facebook fans 16,557. Twitter followers 4,263. Facebook fans 9,027. Twitter followers 7,598. Dublin, Ireland About Blog Glitter Mama Wishes is an irish blogger who blogs about lifestyle, parenting and beauty and much more. Facebook fans 6,200. Twitter followers 4,435. Dublin/Meath, Ireland About Blog Over Heaven’s Hill is an Irish Parenting and Lifestyle Blog. Here, she shares her experiences as a mother and how it is changing her into a better person. Facebook fans 2,018. Twitter followers 3,313. Galway, Ireland About Blog Shinners and the Brood is a blog by Sinéad who blogs about the glamour of staying at home with three small children. Facebook fans 1,520. Twitter followers 3,203. Ireland About Blog Ireland’s leading Doula Agency, offering support and encouragement through your pregnancy, birth & early parenting journey. Facebook fans n/a. Twitter followers 319. Ireland About Blog A parenting, lifestyle & travel blog by a mum of two living in Ireland. This blog covers parenting tips, travel, reviews, recipes, developmental updates, giveaways, etc. Facebook fans 1,082. Twitter followers 2,384. Dublin and Donegal About Blog In this blog, you will find review and articles on household, baby and Mamma products. Facebook fans 3,390. Twitter followers 4,641. Dublin, Ireland About Blog Pregnancy & Parenting magazine is essential reading for smart, savvy expectant and new mums looking for reassuring features, expert advice, celebrity trends and lots of shopping pages. Facebook fans 6,464. Twitter followers 1,244. Kildare, Ireland About Blog The Life of Stuff is an Award-Winning Personal, Irish Pop Culture, Travel & Lifestyle blog featuring Music & Culture, Travel, Food & Drink, Fashion & Style, Health & Beauty, Parenting and all the other stuff. Facebook fans 2,529. Twitter followers 5,293. Waterford, Ireland About Blog An Irish dad blog fuelled by coffee, memes and really bad puns and shares his experience as to what it’s like to be a stay at home dad in Ireland. Facebook fans 1,172. Twitter followers 7,872. Dublin City, / Fermanagh About Blog One Yummy Mummy is an award winning Irish Parenting and Family Food blog. Here, you will find all the parenting tips and advices from Jolene and what to do and what not to do during parenthood. Facebook fans 15,428. Twitter followers 4,326. Ireland About Blog Love of Living is a Parenting blog by Tracey Quinn who posts about pregnancy, breastfeeding and everything in between. Ireland About Blog Omg Family Life Food is a blog covering Family, Lifestyle and Food. They also blog about fashion, recipes, days out and reviews. Facebook fans 314. Twitter followers 7,916. Wexford, Ireland About Blog Olivia’s Mother is a blog by Aileen O’ Neill who blogs about Parenting, Fashion and Lifestyle. You can also find articles on pregnancy and afterwards, the products she uses, to the things Olivia does each day. Facebook fans 2,326. Twitter followers 341. County Down, UK About Blog Blogger Mummy Lauren is a Northern Ireland based family & lifestyle blog where Lauren gives parenting tips and advices and her views on raising an autistic son. Facebook fans n/a. Twitter followers 7,299. Ireland About Blog First a wedding dress, then a maternity dress, now I’m just trying to fit into ANY dress. Facebook fans n/a. Twitter followers 2,061. 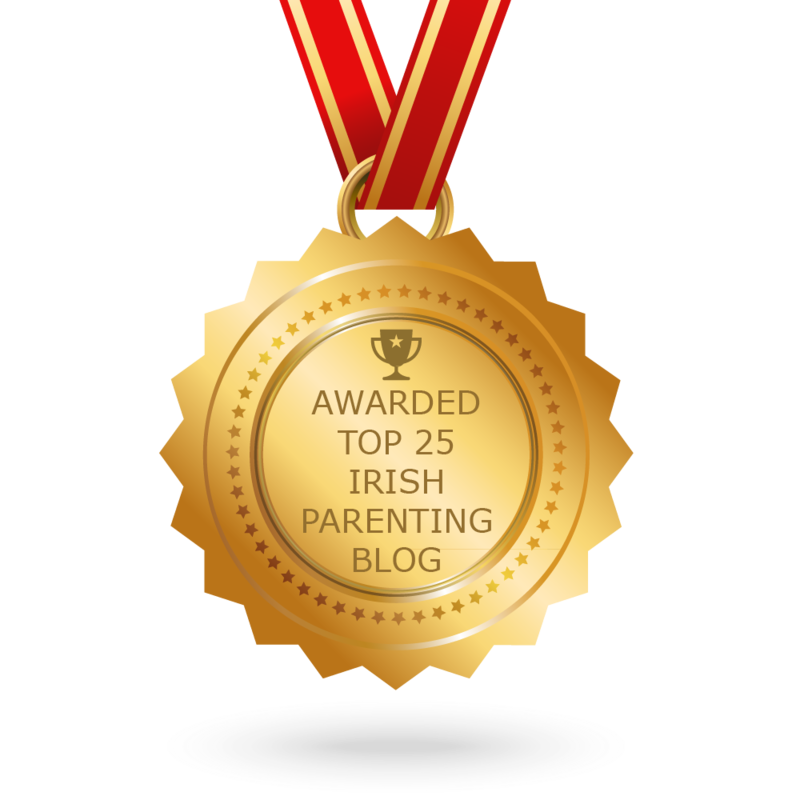 The post Top 25 Irish Parenting Blogs, News Websites & Newsletters in 2018 appeared first on Feedspot Blog.